Come to Mexico and use your construction skills to partner with Kingdom Builders Ministry in building homes. In 2006 Pastor Daniel Nunez felt God calling him to expand Ministerios Transformacion and plant churches throughout the Tijuana, Mexico region. God has been faithful in blessing his vision since 2006. Pastor Daniel Nunez and his team have planted over 30 churches within Tijuana, Rosarito and Mexicali. 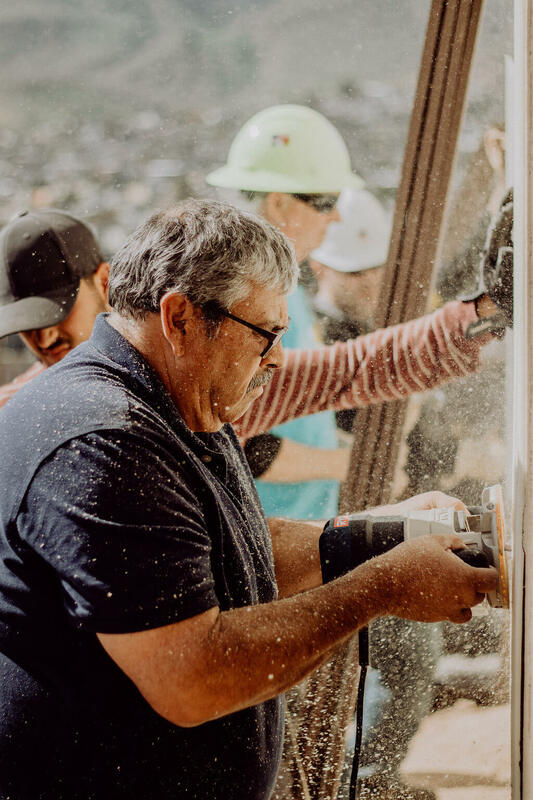 In addition to planting and constructing churches, Pastor Daniel Nunez and his staff develop, care for, and train each Church pastor and their families. Pastor Daniel Nunez has developed partnerships with over 20 churches in the U.S. who provide volunteers to build churches and homes, sponsor children in school, provide breakfast and/or lunch programs and numerous additional caring services to marginalized families. As this ministry and its partnerships have grown Pastor Daniel Nunez and his son Pastor Tury Nunez were encouraged to create a non-profit organization titled Kingdom Builders Ministry (KBM) to support the mission of Ministerios Transformacion church group in Mexico. KBM is lead by Pastor Tury and Pastor Daniel in Mexico along with several Kingdom Builders Ministry Board Members from numerous churches in the US. Through Kingdom Builders Ministry the churches in Mexico and the US are serving, building, fundraising, and assisting Pastor Daniel in developing new leaders for God's Ministry so they can continue their mission of "Preparing God's people to serve in their community, building relationships and changing lives."